If you’re a pastor, you’ve known seasons when it’s hard to get church members to do great things for Jesus. During our church’s years of being stuck, I longed for the day when launching a new idea was as easy as striking a match, instead of getting calloused hands and a cold heart while rubbing two wet sticks together. Thankfully we’ve been fired up for several years now, after discovering a key to sparking innovative ideas from passionate people, while disempowering the ones holding buckets of cold water. I now consider it to be one of my main roles as a church leader. Yes to people. Yes to their crazy ideas. Yes to their passion. Yes to something God may be trying to do through them that I can’t see yet. 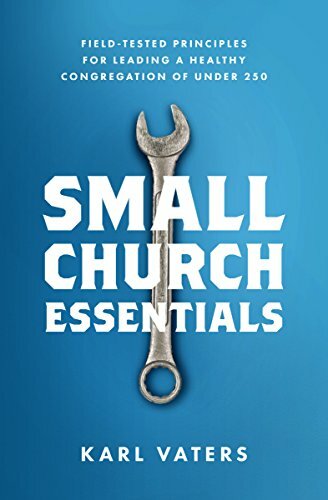 Too many pastors feel it’s their God-given duty to expose the faults of every idea, discourage innovation and snuff out any spark of creativity from church members. They claim it’s about respecting authority, maintaining doctrinal purity, or stemming the tide of whatever moral crisis is at hand. But it’s almost never about any of those things. Innovation, but its very nature, means living with a certain lack of control. Because the details under our control are, by definition, not innovative. Innovation means new, untested, unknown and uncertain. When every detail of each decision has to pass the pastor’s white-glove test, very little gets done. When everything has to be controlled, when every detail of each decision has to pass the pastor’s white-glove test, very little gets done. People stop offering great ideas because they know they’re unlikely to see the light of day. Then we wonder why we’re constantly in the company of whining, uncooperative wet blankets? We’ve encouraged them by creating an atmosphere where naysayers carry all the power, and innovators give up and leave. We need to spark the creativity of innovative believers by figuring out how to say yes to their passion. Of course that doesn’t mean saying yes to every stupid idea. But sometimes it does mean finding the non-stupid part of the idea and helping people shape that until you can say yes to it. Sometimes that means encouraging them to re-draw their plans. At other times, it means sitting with them to tweak an almost-good-enough idea to make it doable. Occasionally it’s just about finding a way to pay for it.